When you visit Montacute Valley Orchards, you can buy export quality cherries straight from the shed door which are big, fresh, sweet and juicy. 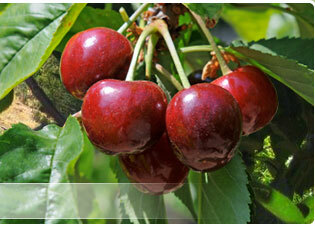 We grow over 35 varieties of cherries so there is plenty to choose from through the whole season. They are available 7 days a week from 9am – 6pm from early November until just after Christmas. So if you need cherries for Christmas come and pay us a visit in the Adelaide Hills and purchase them straight from the grower, meaning that you get them fresher than anywhere else. If you are still craving fruit after cherries are finished, why not come back and feast on some big fat juicy peaches and nectarines. Unlike what you get in the supermarket, we offer peaches and nectarines that haven’t been picked too green, but instead are juicy and ripe and ready to eat. 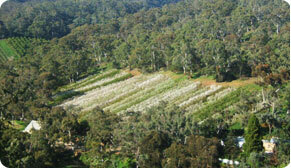 We grow a large variety which will be on offer from Late December until early April, season permitting. 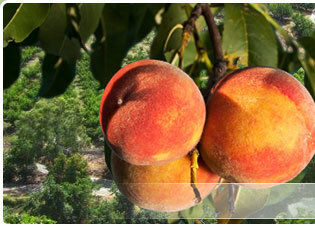 During Peach and Nectarine season we are open from 9am – 6pm every day except Monday and Wednesday when we are closed for tree maintenance. More exciting summer fruits we have available is Apricots and Plums. These start in late December and continue through until Early march. Our apricots ,plums and prunes are second to none, and when available we also have seconds which are great for Jam and preserving. We grow strawberries from Early November until early April. We ensure they are ripened on the bush so that they are sweet large and ready to eat. They are available in 250g, or 1kg punnets. Strawberries are a very delicate berry and are subject to heat damage so if the weather is above 40 degrees, give us a call to check on availability. 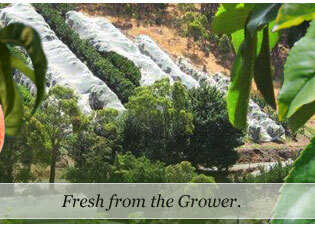 When you visit Montacute Valley Orchards you can also try a large range of freshly blended fruit ice cream. We have Cherry, Strawberry, Boysenberry, Apricot and Rasberry. These flavours are from fruit grown by us . They are available in Waffle Cone all season and 500g tubs until sold out.